Elated after an unbeaten run that helped Hyderabad Hotshots lift the inaugural Indian Badminton League trophy, Saina Nehwal said she expects the $1 million event to become as big as cricket's IPL in the coming years. "Nobody expected it would be so successful because everyone was comparing it with the IPL, which is actually not right at this point of time...and we are trying to make it big but first time of course it is not so easy. I am sure in the coming years, it will catch up with IPL," she said. 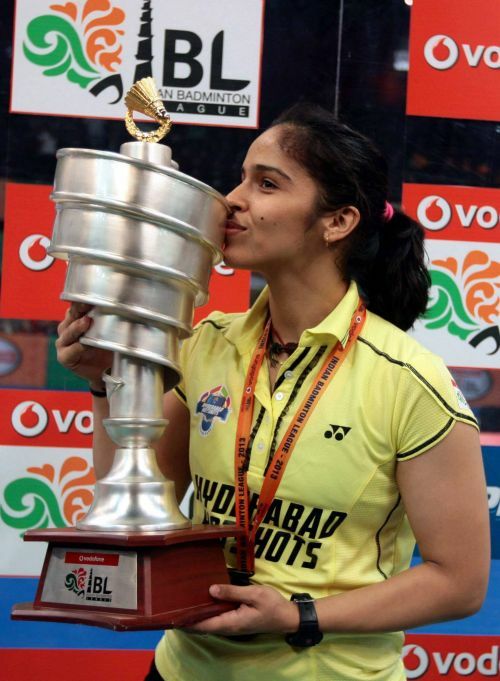 The Hyderabad Hotshots, led by Saina, clinched the trophy by defeating Awadhe Warriors 3-1. The London Olympic Games bronze-medallist, who was slated to play in the mixed doubles, said she was nervous against the Indonesian sibling pair of Markis Kido and Pia Bernadeth if the tie had come down to the last match. "I am a singles player. Frankly speaking, I was a little scared also because Kido and Pia are world number 9. They are champions. I was just ready and wanted to give my best. That was our strategy but good we pulled out in the men's singles. It would have been a tough match because Kido and Pia are better than us," she said. "In the first game when Ajay (Jayaram) lost, I was a little tense and thought it is going to come down to the mixed doubles. I think the way he played in the second and the third (game) was brilliant. I am very happy for his result because it was the main match for our team," she added. On her match against P V Sindhu, where she outclassed the youngster 21-15,21-7, Saina said, "It was the finals so I personally had no pressure. I just wanted to give my best. Sindhu also played quite well today but I am happy I pulled off my match. "We actually didn't expect the doubles also because Kido and Mathias Boe are great champions at the same time our players did very well." The Hyderabadi said the team just wanted to do its best and didn't expect to be crowned champions in the debut season itself. Saina, who remained undefeated in the tournament, said she is hopeful of ending the year on a positive note. "It is not easy to win seven matches in a row but I was very focussed and I was confident that I could pull off the matches. (Juliane) Schenk is a tough opponent, Sindhu, everyone is giving their best. "I never thought I could pull off seven matches but I am happy to be playing well and getting back my rhythm. And I just hope I end the year on a good note by winning some title. It is not easy but I will give my best," she said. The world number four said next year's IBL would be tougher as more singles players are expected to participate in the tournament. "Next year, it will be tougher because many more singles players would be coming in. It is more difficult because it is a team event and there is a lot of pressure on you but at the same time, it will help me because I would be playing with a lot of top players," she said. 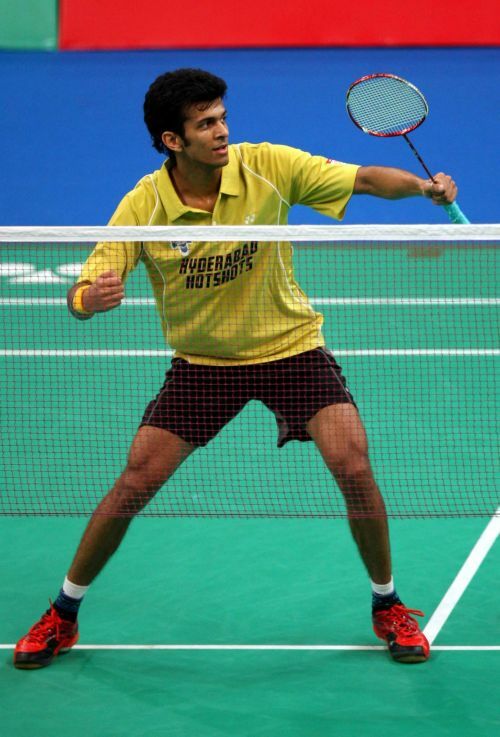 Jayaram, who made a remarkable comeback against RMV Gurusaidutt after dropping the first game to win the match 10-21, 21-17, 11-7 said he was under pressure. "I started out under a lot of pressure because I knew mine was the deciding match and if I won, the team would win. My legs weren't moving well in the first game and after that in the second game I just wanted to pump myself up. "Somewhere around the mid game at about 16-12, I managed to push myself and that worked for me. I started keeping more shuttle in the court. My game just went up from there," he said. The 25-year old added that he made a lot of unforced errors against the world number 20. "I was making a lot of unforced error today because I was under a lot of pressure. Coaches were telling me to open out and keep the shuttle inside the court. I did that to a certain extent in the second game."